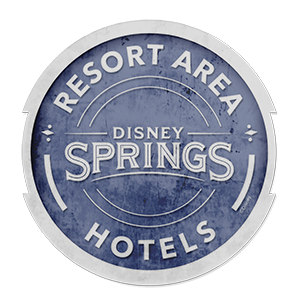 LAKE BUENA VISTA, FL (Dec. 18, 2017) – Guests of the Disney Springs Resort Area Hotels in Central Florida, beginning with stays on January 1, 2018, and continuing throughout 2018, will enjoy an Extra Magic Hours benefit at Walt Disney World Theme Parks, with valid theme park admission. Featuring an ideal location in the Walt Disney World Resort, the Disney Springs Resort Area Hotels are within an easy walk to the significantly expanded and beautifully transformed Disney Springs. Inspired by Florida’s charming towns and natural beauty, the vibrant waterfront Disney Springs offers a high-quality diverse mix of shops, an impressive variety of upscale and casual dining options, and exceptional live entertainment options, with 130 establishmentsacross its four distinct outdoor neighborhoods. Plus, as a bonus, guests at these hotels also receive the new “Disney Springs Passport” booklet that features discounts and specials from Disney Springs merchants on entertainment, shopping and dining. Among the coupons featured in the booklet are discounts and special offers at House of Blues Restaurant & Bar, T-REXTM Café, Paddlefish, Rainforest Café at Disney Springs Marketplace, The Polite Pig, The Boathouse, STK Orlando, Wolfgang Puck Express at Disney Springs Marketplace, Ghirardelli Ice Cream & Chocolate Shop, Crystal Arts by Arribas Brothers, Dino Store at T-REXTM, Rainforest Café Retail Village, American Threads, Johnny Was, and Sephora. · The ability to book advance dining and dinner show reservations for all restaurants across the Walt Disney World® Resort. · Wyndham Garden Lake Buena Vista – featuring a Disney Character Breakfast 3 days a week, 394 guest rooms, six dining options, and the Oasis Aquatic Pool Playground with interactive water features. Walt Disney World Resort is a contiguous, nearly 40-square-mile, world-class entertainment and recreation destination featuring four theme parks (Magic Kingdom Park, Epcot, Disney's Hollywood Studios and Disney's Animal Kingdom Theme Park); two water adventure parks (Disney's Blizzard Beach and Disney's Typhoon Lagoon); over 30 resort hotels, including Disney Vacation Club resort properties; 63 holes of golf on four courses; two full-service spas; Disney's Wedding Pavilion; ESPN Wide World of Sports Complex; and Disney Springs, an entertainment-shopping-dining district. Walt Disney World Resort is also included in vacation packages of Disney Cruise Line. Located at Lake Buena Vista, Fla., 20 miles southwest of Orlando, Walt Disney World Resort opened Oct. 1, 1971. Open daily, year-round. For information on Walt Disney World Resort, visit disneyworld.com.